The city of Utrecht is a vibrant university city, located in the heart of the Netherlands. Utrecht has around 350.000 inhabitants, making it the fourth largest city in the Netherlands. The city of Utrecht has a large student population of around 70.000 Dutch and international students. 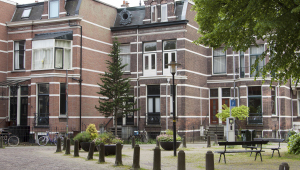 It boasts a large University Medical Centre, Utrecht University (which officially opened in March 1636! ), as well as many schools of higher education. Around 50.000 students are being taught at the Utrecht Science Park, a green area east of the city centre, where large parts of the Utrecht University and Hogeschool Utrecht can be found. 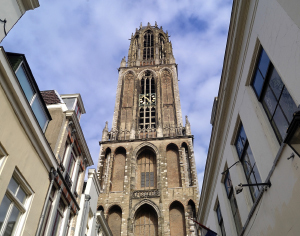 The Gothic-style Dom Tower (Domtoren) is a landmark in Utrecht. With its height of 112.5 metres it towers above Utrecht city centre. Another important feature are the wharf cellars (werfkelders), built in the 13th Century. The wharf cellars were used for storing goods that were transported by boat. The wharfs connect together to form another street, this time almost at water level. Nowadays many of the old cellars have been converted into café’s and restaurants, and the quays provide a lovely place to sit on sunny days. Utrecht is divided into ten different neighbourhoods, each with its own character and varied type of accommodation, ranging from apartments in the historic city centre, to newly built family homes in Leidsche Rijn. It boasts both semi-detached and terraced houses in residential areas with heavy traffic restrictions (woonerven) in Lunetten and beautiful early 20th century town houses situated around the Wilhelmina park. 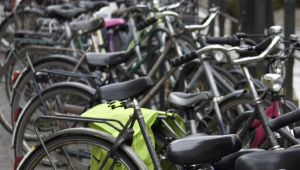 The villages surrounding Utrecht, like De Bilt, Bilthoven, Bunnik, Zeist, Maarssen, Nieuwegein and IJsselstein also provide a good base for families, wanting to escape the hustle and bustle of Utrecht.